Chinese censors on Sunday deleted articles and postings about the vaccine industry as an online outcry over the country's latest vaccine scandal intensified. Regulators said last week that they had halted production of a rabies vaccine at a large pharmaceutical company in the northeast after finding fabricated records and other problems during an inspection. It was just the latest in a series of health and safety scandals which have fuelled fear over the safety of basic food and medicine and anger at regulators asleep on the job. China's censors and regulators struggled to stay abreast of the public's response, deleting posts on WeChat as state media tried to take control of the narrative. On Sunday night China's Food and Drug Administration (CFDA) announced it had ordered all production stopped at the vaccine maker and launched an investigation. Changchun Changsheng Biotechnology is China's second largest maker of the rabies vaccine and a subsidiary of a large publicly-traded vaccine maker. Anxiety grew over the weekend as an essay alleging corruption and murky practices in the vaccine industry spread across WeChat. Netizens reposted the self-published essay as censors swooped in to delete the content. The CFDA said last week that the problematic rabies vaccine had not left Changsheng's factory. The company said in a stock exchange filing Sunday that it had already halted production of another vaccine -- for diphtheria, tetanus and pertussis -- which regulators found last year to be sub-standard and which had also become the focus of public attention. Still the action aroused concern that other problematic vaccines had already been administered to children. In Beijing, an unnamed official at the Center for Disease Control and Prevention told local website The Paper that parents in China's capital need not worry: "Beijing does not have either of these two vaccines in question, the public can be at ease." Regulators in Guangdong and Sichuan, cited by state broadcaster CCTV, told residents that Changsheng's problematic vaccines had not been made available in their provinces. 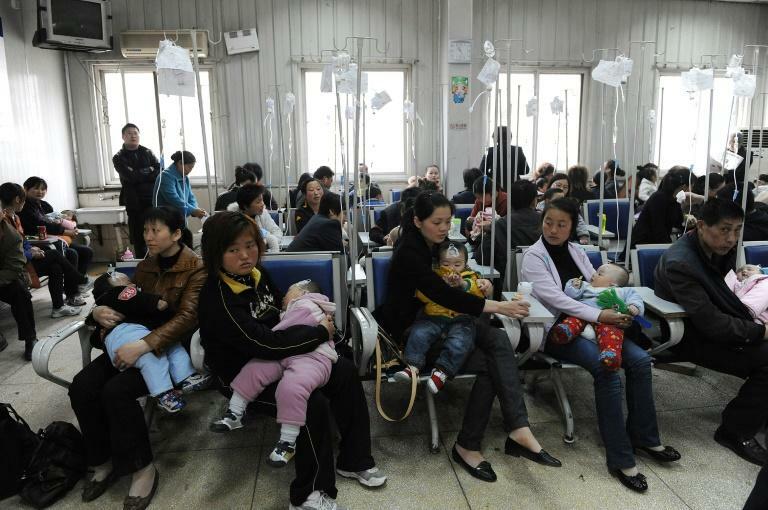 But CCTV acknowledged that 250,000 doses of the problematic vaccine had been sold to the eastern province of Shandong. Communist Party mouthpiece the People's Daily said on Sunday that local regulators must "rapidly take action, do a complete investigation and announce authoritative information in a timely manner to pacify public anxiety". CCTV listed questions the public needed answering and noted that the local regulator overseeing Changsheng had hung up on journalists' calls or declined to answer the phone. A similar scandal erupted in Shandong in 2016, involving the improper storage, transport and sale of tens of millions of dollars' worth of vaccines -- many of them expired. For parents it also has parallels to China's most notorious incident of recent years. Some 300,000 children fell ill, six of them dying, in a 2008 case involving milk powder contaminated with melamine.